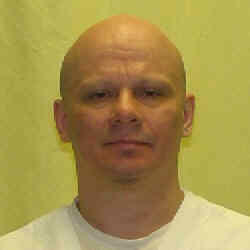 Ohio carried out its first execution of the year this morning, using a three-drug mixture to execute Robert Van Hook for the 1985 murder of a Cincinnati man after the two met at a nightclub. The Associated Press’s Andrew Welsh Huggins witnessed the execution of Van Hook, who wished peace to the family of his victim David Self and recited a Nourse prayer as he was put to death. “There were no signs of obvious distress. His chest rose and fell rapidly but it was not the extreme up and down high rising and falling that we have seen in the past. He wheezed several times for about a minute and he sort of puffed his lips in and out and then he went still," Welsh Huggins says. That’s a contrast to ten months ago, when Welsh Huggins says Gary Otte (oh-tay) appeared to show signs of distress after being given the controversial three drug execution cocktail.